The radiator is one of the most essential pieces to the puzzle under your hood. Without your radiator, your vehicle would overheat which would lead to a big problem. Ethylene glycol, better known as anti-freeze, is the neon green liquid flowing from your engine and then through your radiator to cool it. The liquid is able to cool by passing through tubes inside of the radiator. As the liquid passes through these tubes, the heat from the liquid is displaced by the tubes and small “fins” connecting the tubes of the radiator. The liquid flows through these fins and tubes and the surrounding air is warmed by the displacement of heat. The liquid’s heat is lost by allowing the radiator’s assembly to “radiate” the heat caused by the liquid into the air. A fan pushes that hot air away from the radiator. Air heats up fast, so replacing the warm air around the radiator with cool air is extremely important. When the coolant finally exits the tube and fin assembly of the radiator, it has been sufficiently cooled and passes through the engine again. Here are some helpful tips to help you protect your radiator. It’s advised that you renew your coolant once per month and every time your radiator is serviced. Your radiator can experience clogging which can have a negative impact on your radiator. It’s important to get your radiator un-clogged as soon as possible. It’s possible that coolant could be leaking if you your radiator cap isn’t screwed on correctly. Make sure that you check your radiator cap! 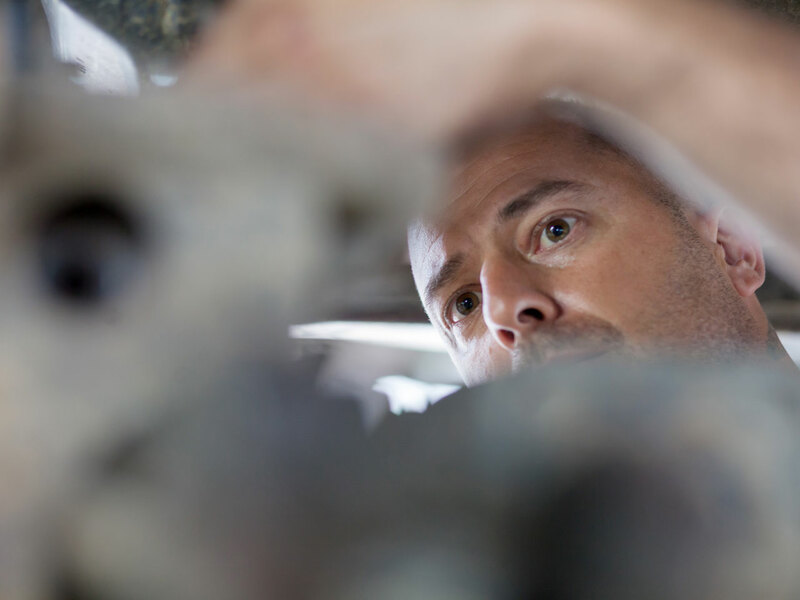 When dealing with something as serious as a radiator, it’s important that you find an experienced team of mechanics that can fix your issue the first time. Otherwise, you could end up paying a lot more for a simple fix! At KB Tire & Auto, we have trained professionals that are able to diagnosis exactly what’s going on with your radiator, and we are happy to get you and your vehicle back on the road safely! Contact us today to set up an appointment or request a quote for radiator service!